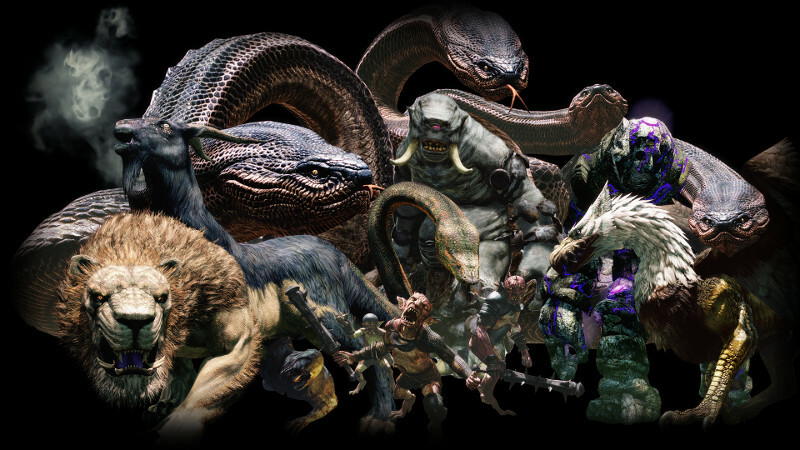 This is an entry in the Dragon’s Dogma bestiary. The remaining entries along with the full adaptation can be found here. Gryphons are considered a symbol of strength and victory in Gransys, much like in the real world. These creatures used to be considered mythical, but the coming of the Dragon has proved otherwise. One such beast has taken roost in the ancient ruins of Bluemoon Tower, and ranges as far as Gran Soren in its search for prey, devastating herds of cattle and attacking unwary caravans. There might be others. The Basic Set actually has stats for a gryphon in page B461, but those would only suit a smaller than average individual in this setting. The gryphon of Bluemoon Tower is much larger, and able to carry a grown person away with ease. It’s also clever enough to fly away if it thinks itself overmatched, so hunting it has proven particularly difficult. Ending its threat would mean undertaking an expedition to Bluemoon Tower and facing the many dangers therein. Speed 7.5; Move 7 (ground); 14 (air). Beak (15): 2d+2 pi+. Reach C, 1. Parried as a weapon. Talons x2 (15): 2d+1 cutting. Reach C-2. May grapple at skill-15. Parried as a weapon. Flyby Attack (-): The Gryphon can perform a Move and Attack maneuver to swoop down, strike with its talons, and fly back up, covering a distance equal to its Air Move in total. The attacks are made at no penalty. The talon attack can be a grapple instead, which if successful means the gryphon carries the victim with it. Notes: Can retreat up in combat for a +4 to Dodge. Unlike the small variant presented in GURPS Dungeon Fantasy Monsters 3, the Gransys cockatrice is a huge creature that looks like a gryphon from far away. Upon closer inspection, one can see its avian half resembles more a turkey or buzzard than an eagle, with black feathers and fur. In addition to possessing the same natural weapons as a gryphon, the cockatrice can spew a cloud of noxious gas that turns any who breathe it to stone! And unlike the gryphon, it will never run from a fight. Petrifying Breath (16 vs. HT): Covers an area 5m in diameter in front of the cockatrice. Any who fail the listed resistance roll are turned to stone as per the Flesh to Stone spell. Can be used once every 10 seconds.